Regardless of all the criticism of the new tiles surface, Windows 8 tablets and convertibles are becoming increasingly popular. One reason for the success: Intel's latest Bay Trail platform is an inexpensive and frugal hardware basis that enables ultra mobile x86 devices for a wide range of customers. 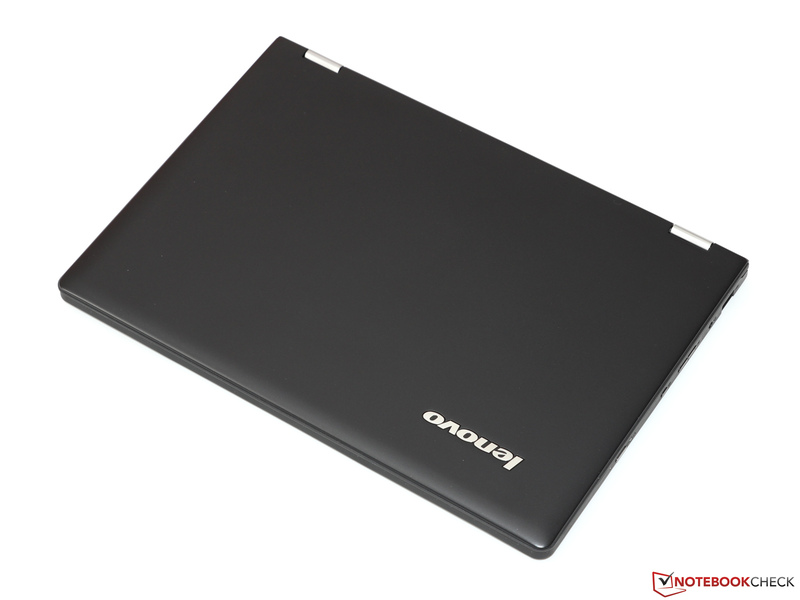 One representative of this category is the Lenovo IdeaPad Yoga 2 11. 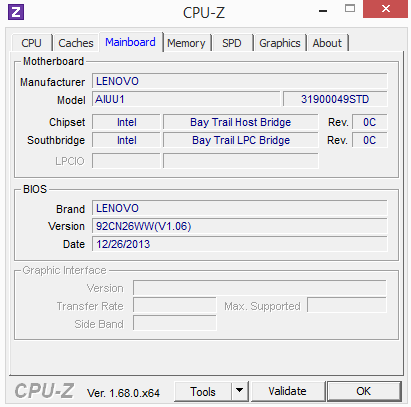 While the predecessor still used a Tegra 3 SoC as well as Windows RT, the new version comes with a full version of Windows 8.1 (64-bit). 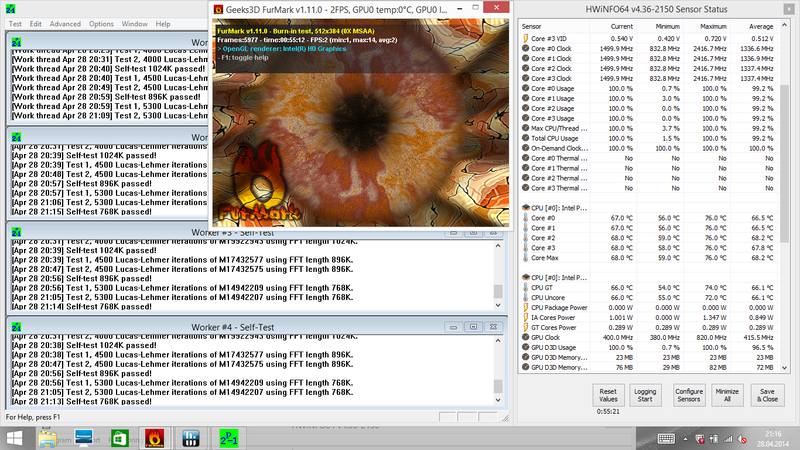 We already mentioned that this is possible thanks to the new Bay Trail CPU, a Pentium N3520. 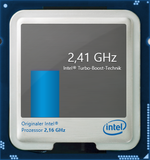 The quad-core with a maximum clock of 2.4 GHz is supported by 4 GB memory and stored on a 500 GB hard drive. There are, however, no changes in regard to the display: The 11.6-inch IPS display still has 1,366x768 pixels. Rivals of the Yoga 2 11 for around 600 Euros (~$825) include, among others, the Sony Vaio Fit 11A as well as the HP Pavilion 11. The slightly smaller and cheaper Asus Transformer Book T100TA is a possible alternative as well. 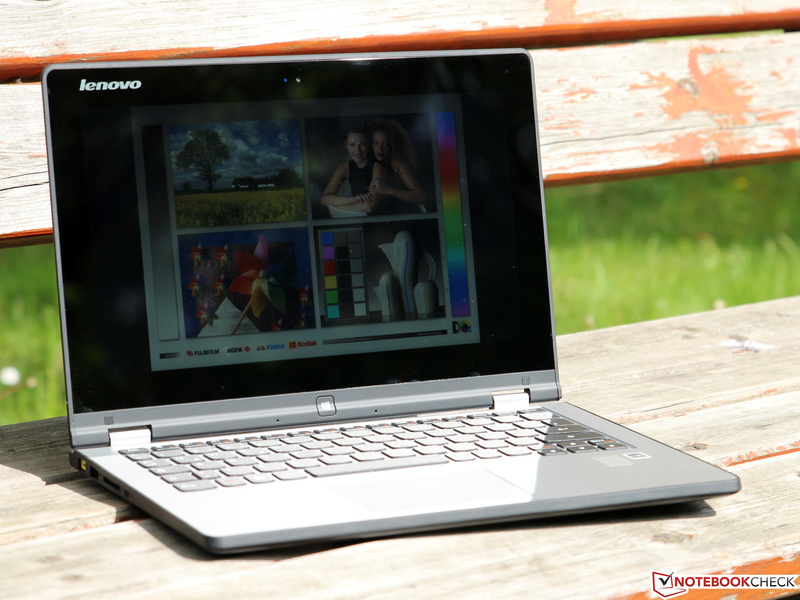 You can hardly see a difference between the new Yoga 11 and its predecessor. 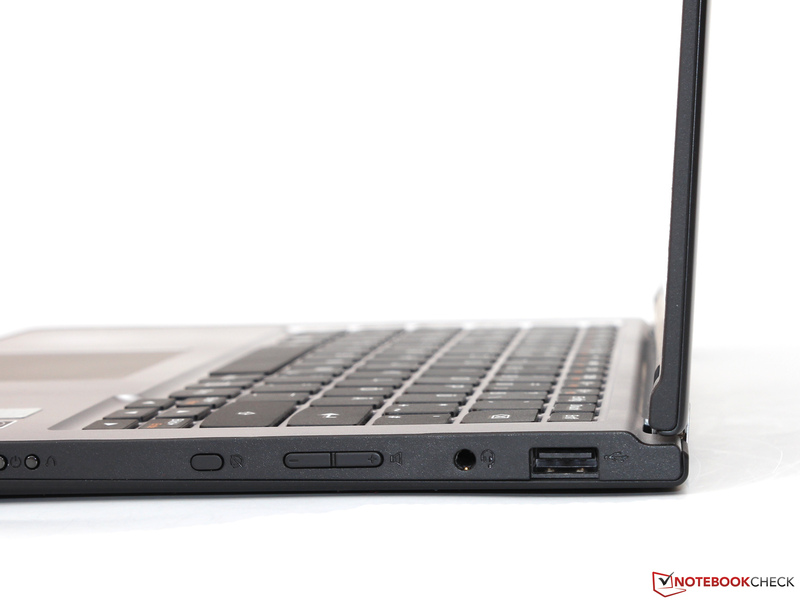 You can hardly see a difference between the new Yoga 11 and its predecessor. The black-silver chassis – a completely black as well as orange versions are available as well – convinces with a simple elegance and compact design. 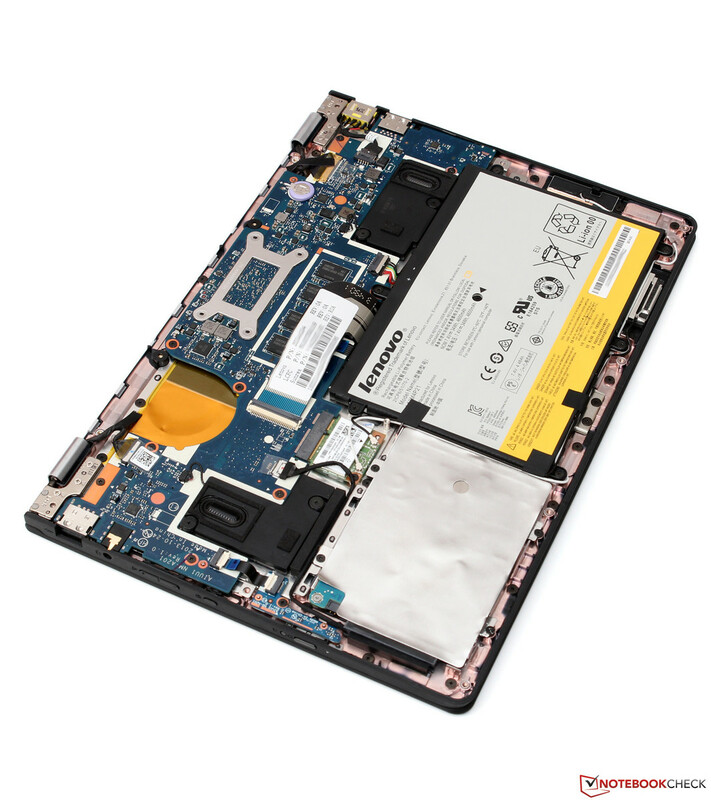 The footprint of the IdeaPad is somewhat comparable to an A4 paper with a height of around 15 millimeters (~0.6 inches) excluding the support feet. The weight of almost 1.3 kg (~2.9 pounds) is also pretty low and typical for an ultrabook. As a convertible, the Yoga also has to compete with tablets: The additional weight compared to a Samsung Galaxy Note Pro 12.2 (750 grams; ~1.7 lbs) is clearly perceptible and you cannot hold the device with one hand for a long period. 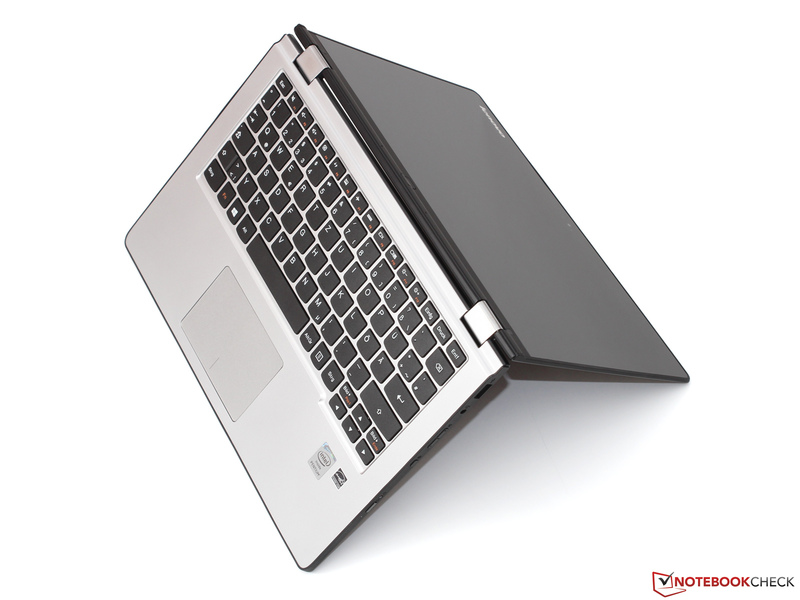 The transformation from a notebook to a tablet is made possible by 360-degree hinges. You can just turn the display around until the display sits flat on the bottom cover. 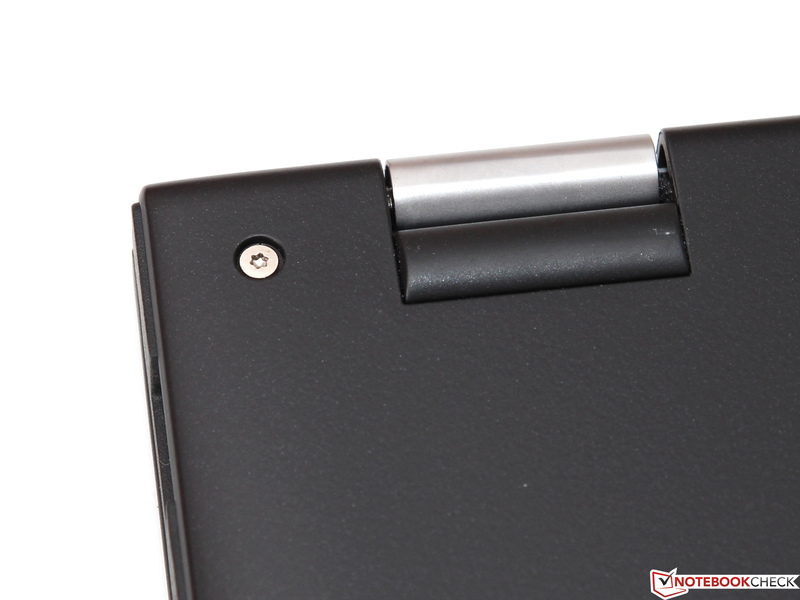 Firm metal hinges make sure that the lid does not bounce too much during touch inputs. Even though the case is primarily made of plastic, there is hardly any criticism for the stability. Only a lot of pressure can slightly twist the base unit and the display, but it never gets critical. The careful build quality supports the good impression. 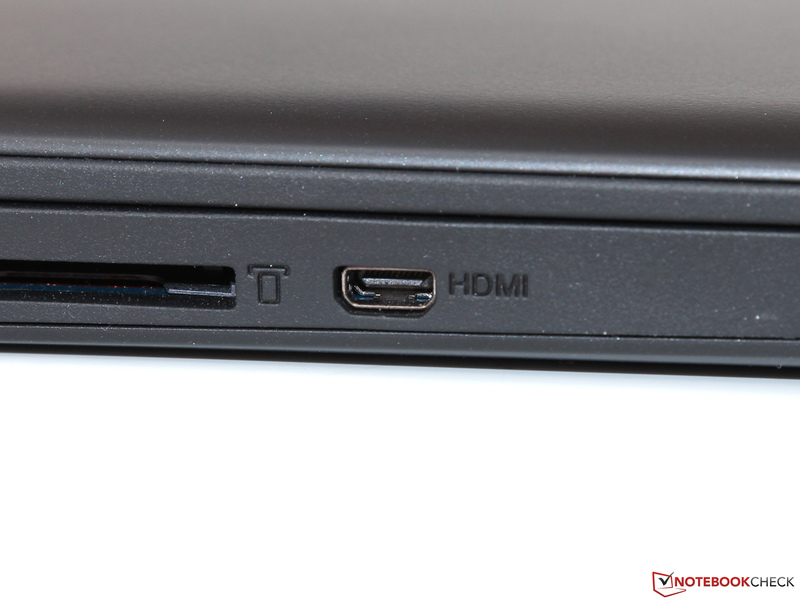 Two USB ports, one supporting the modern USB 3.0 standard, can be used to attach peripherals. Bay Trail does not have to hide behind significantly more expensive platforms in terms of transfer rates: 38 MB/s (USB 2.0) and more than 100 MB/s (USB 3.0, limit of our external hard drive), respectively, are more than acceptable. The rest of the connectivity is somewhat disappointing, because there is just a micro HDMI port (no adaptor provided), a 3.5 mm stereo jack for headsets as well as a card reader for SD and MMC cards. Contrary to detachables, like the Pavilion 11, you can also use all ports in the tablet mode – a small consolation for the additional weight of the base unit. Because of the lack of a wired network port, users will either have to use Bluetooth 4.0 or WLAN, which are provided by a Qualcomm/Atheros module with the designation AR9565. This adaptor supports the standards 802.11b/g/n, but only in 2.4 GHz networks and with maximum transfer rates of 150 Mbps. During our review, the module worked flawlessly, whereas the range was just average. An integrated WWAN module for UMTS/LTE networks is not offered by Lenovo in general. 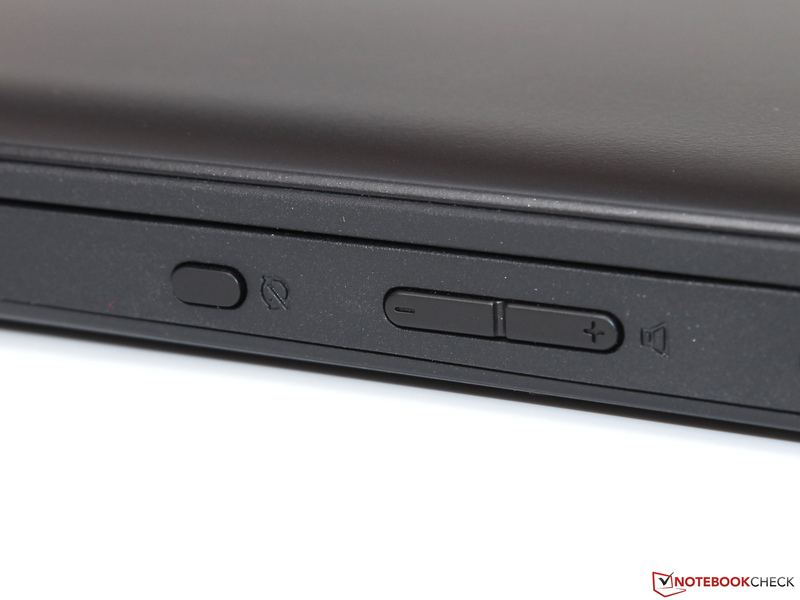 As is typical for this product class, the Yoga 2 is equipped with a 1 MP webcam in the upper display frame. Colors, resolution and picture noise meet the usual low quality for such an inexpensive device, but it is sufficient for video chats. The corresponding microphone delivers better results and can convince us with good voice quality in particular. The manufacturer did not put any accessories besides some brochures and the mandatory power adaptor in the box. You do get, however, a comprehensive software package in return: Among others, Lenovo preinstalled an application for the camera, an application for the login via webcam picture, as well as software for gesture controls. However, we could have lived without the several advertising apps that just occupy space on the hard drive. 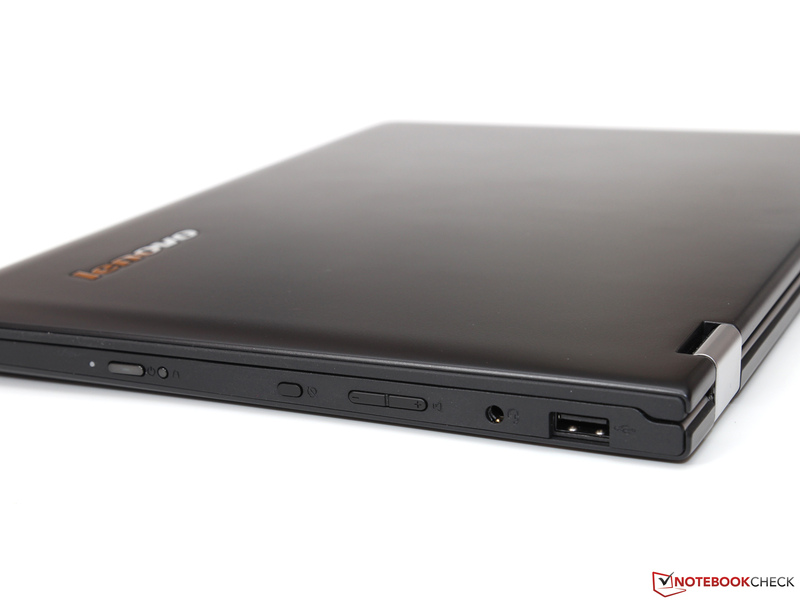 Contrary to many rivals, it is pretty easy to open the case of the IdeaPad. First, you have to loosen 19 Torx screws (T5) at the bottom before you can remove the whole bottom cover. The maintainability is limited to the replacement of the hard drive (2.5-inch, height of 5 millimeters), WLAN module (mini PCIe) and the battery – all the other components are soldered onto the mainboard. You will not have to clean the fan because the system has a passive cooling solution. 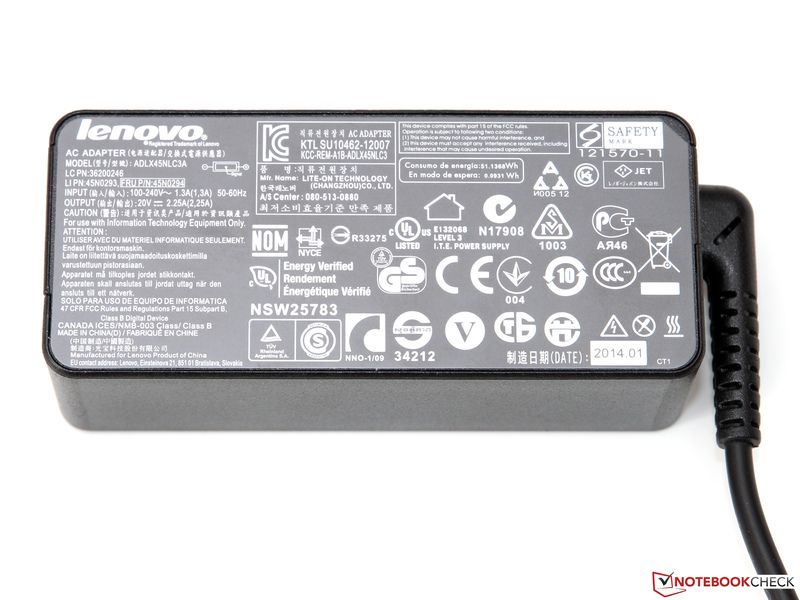 Lenovo grants a two-year manufacturer's warranty, but it only includes a Bring-In service. 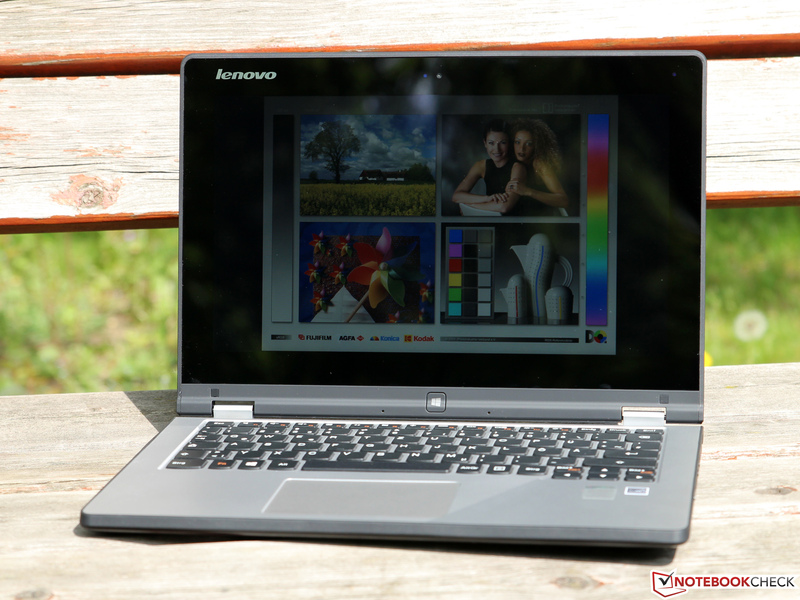 We could not find any additional service updates at the time of this review, but the Yoga 2 has just been launched. The chiclet keyboard has the same unchanged layout and is seamlessly integrated into the case surface, which looks dignified. 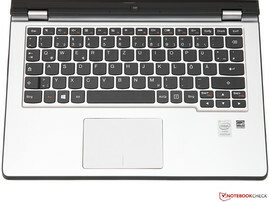 Lenovo slightly lowered the 15 x 15 mm sized keys, so they do not touch the ground when you use the device as a tablet. The base unit is also surrounded by a small rubber lip. There is still no keyboard illumination. 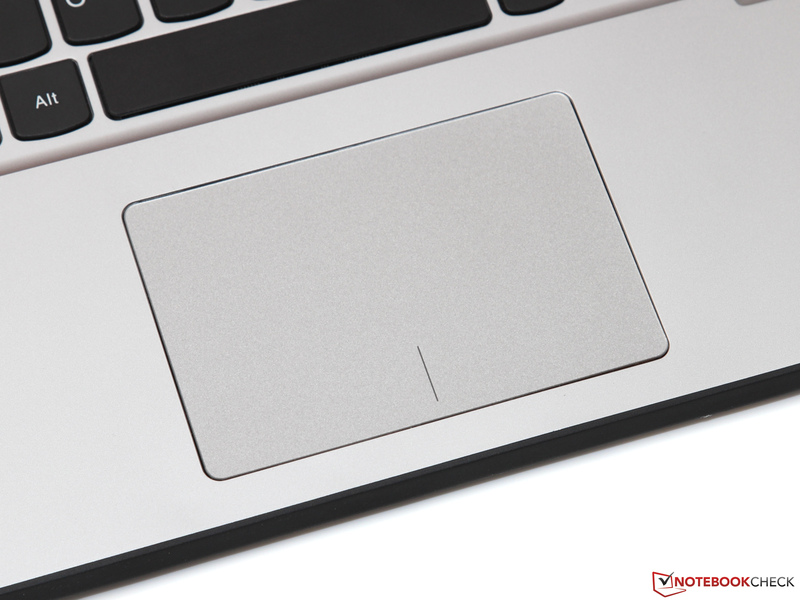 Although the pressure point could be a bit firmer, we are still convinced by the acceptable typing experience. 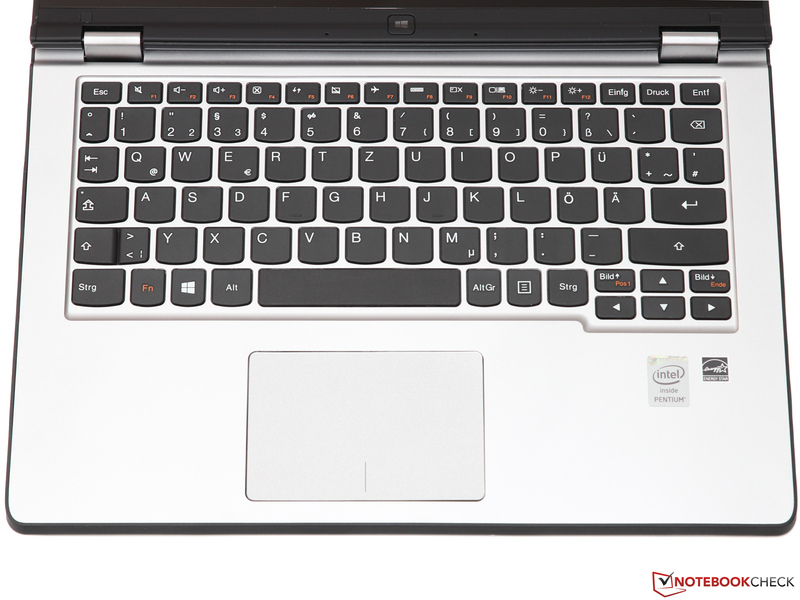 The keys with the short travel also work reliably in the peripheral areas and there is no annoying clattering. One thing that should be improved is the poor stability in the center of the keyboard, which results in a clear bouncing and a somewhat spongy feeling during typing. The Synaptics touchpad is not excessively large at 6.0 x 9.0 centimeters (~2.4 x 3.5 inches), but it is more than sufficient for an 11.6-inch device. 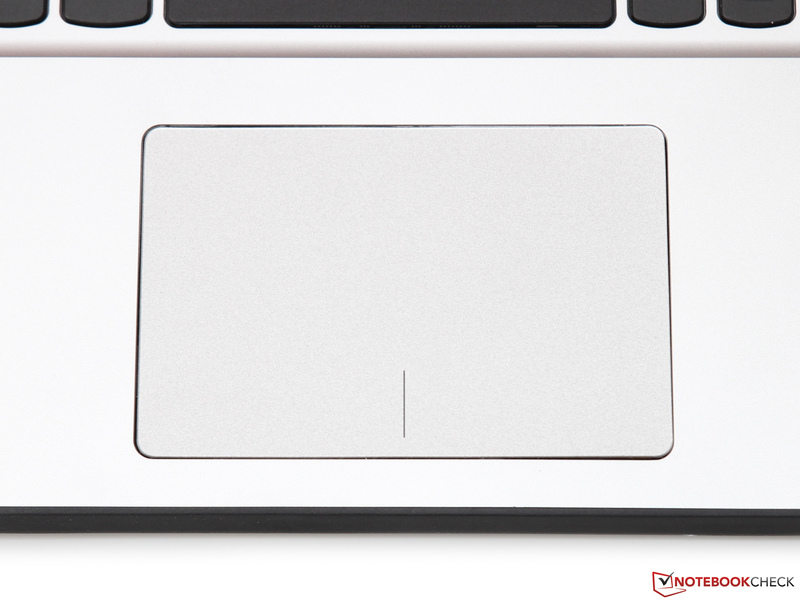 The slightly structured surface provides convenient feedback and enables precise control of the cursor. Besides the support for several multi-touch gestures (with up to four fingers), the pad offers numerous settings and features, like an intelligent palm recognition. 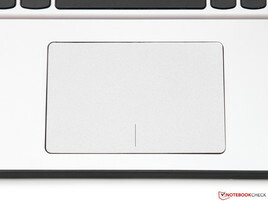 Dedicated mouse buttons are not available, clicks are triggered when you press the bottom half of the touchpad. 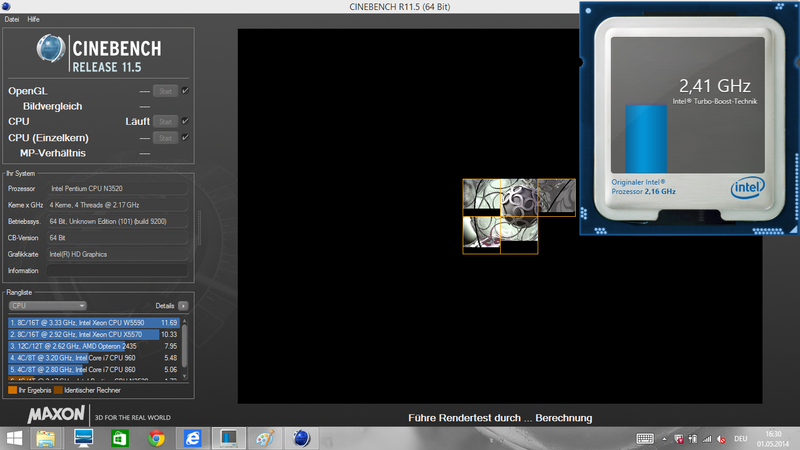 It works pretty well, thanks to the firm stroke, even with complicated drag and drop inputs. As soon as you open the display by more than 180 degrees, the device automatically deactivates the keyboard and the touchpad – and this is necessary to avoid accidental inputs when you hold the device. The manufacturer also put a lot of thought into other parts of the device, and not only equipped the Yoga with a volume rocker, but also with an additional button for the deactivation of the automatic picture rotation. 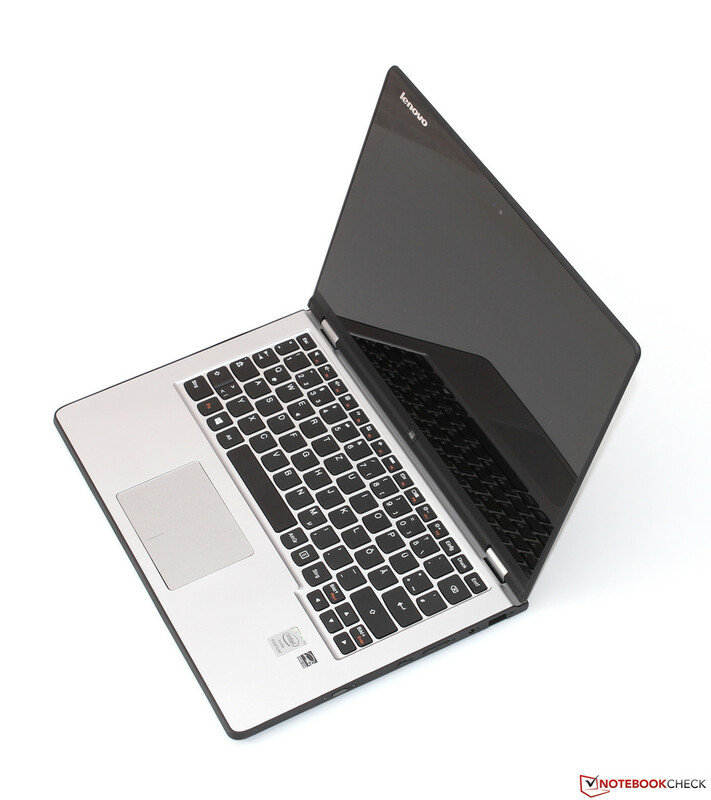 The IdeaPad is otherwise rather inconspicuous: The 10 finger touchscreen works just as reliably and precisely; the on-screen keyboard is very intuitive and corresponds with the usual Windows 8.1 standard. 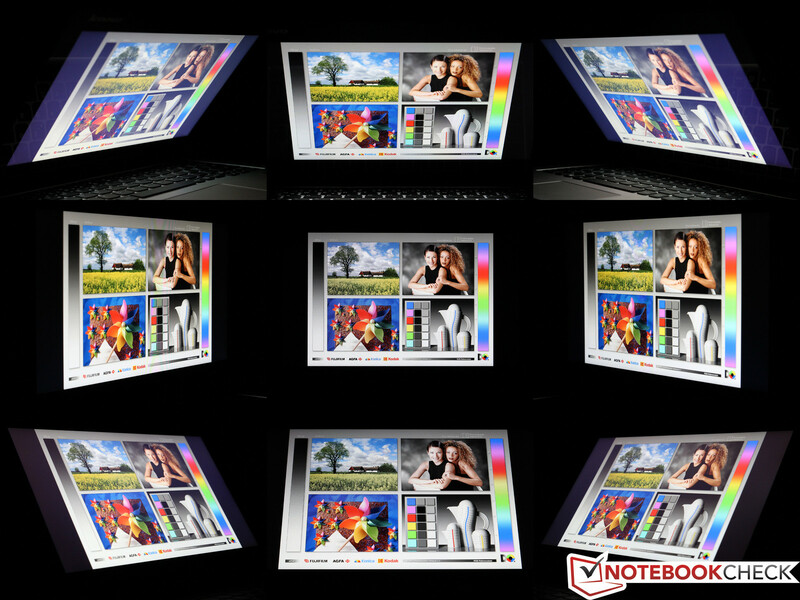 While some high-end smartphones have up to 2560x1440 pixels nowadays, the WXGA resolution of 1366x768 pixels is still typical for inexpensive notebooks. 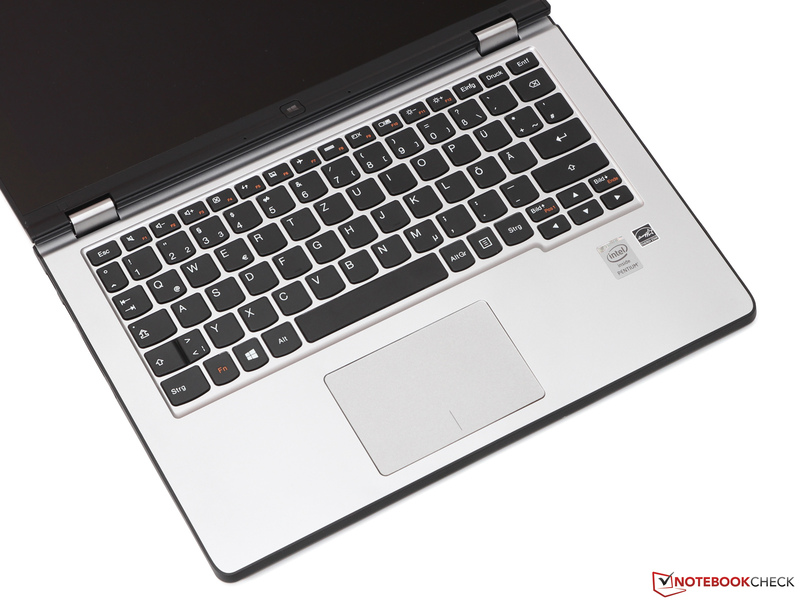 With the 11.6-inch display of the Yoga 2 11 you get a pixel density of 135 ppi – an average result, however, it is usually only surpassed by more expensive rivals like the Vaio Fit 11A (Full HD, 190 ppi). 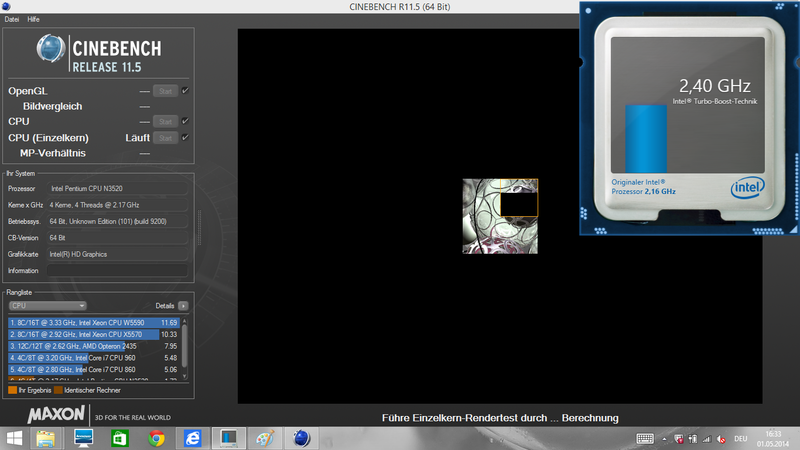 The picture is therefore not razor-sharp from a close distance, which is sometimes apparent during tablet operation. 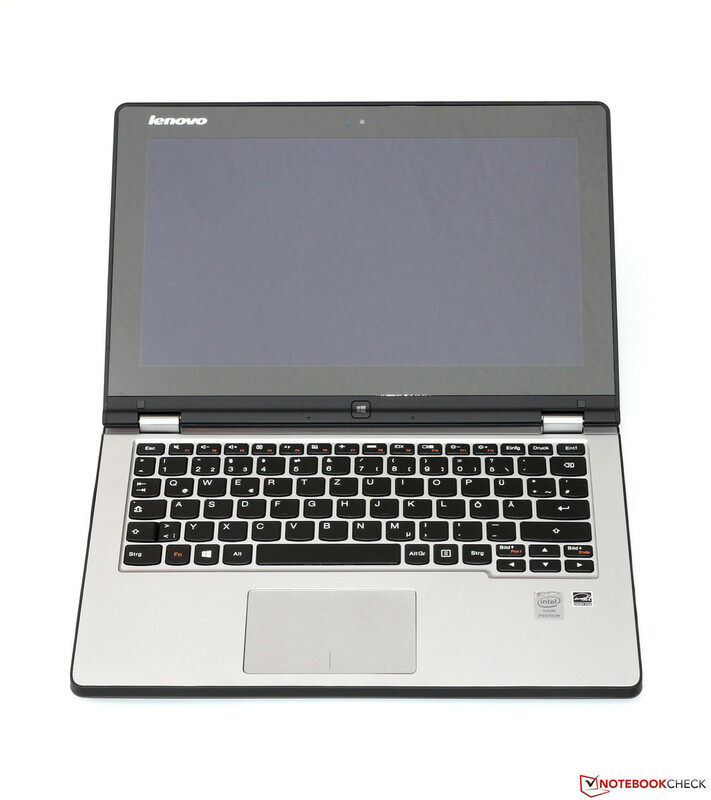 The brightness of the IdeaPad on the other hand is very good: The luminance is 320 cd/m² on the highest setting and the brightness distribution is very even – only one measurement area is below the 300 cd/m² mark. Fortunately, the brightness is not reduced on battery power, so you can use the full luminance on the road. Just like Sony and HP, Lenovo uses a high-quality IPS panel, which is provided by the manufacturer AUO (model B116XW02) in this case. The rich black value of just 0.45 cd/m² at the maximum brightness level results in a respectable contrast ratio of 756:1. The direct competition manages similar results. In combination with the glossy display surface, which does improve the contrast subjectively, you get a very rich and vivid picture. Because of some driver issues (probably due to the Bay Trail platform), we had to waive the usual display calibration and test the display with the default settings. A disadvantage? Not at all! Both the colors (DeltaE 4.2) and the grayscale (DeltaE 2.96) of the Yoga are surprisingly accurate. Such results are not even offered by every workstation. It looks like the manufacturer already calibrated the display – except for some deviations for shades of blue, it will be hard to improve the performance. 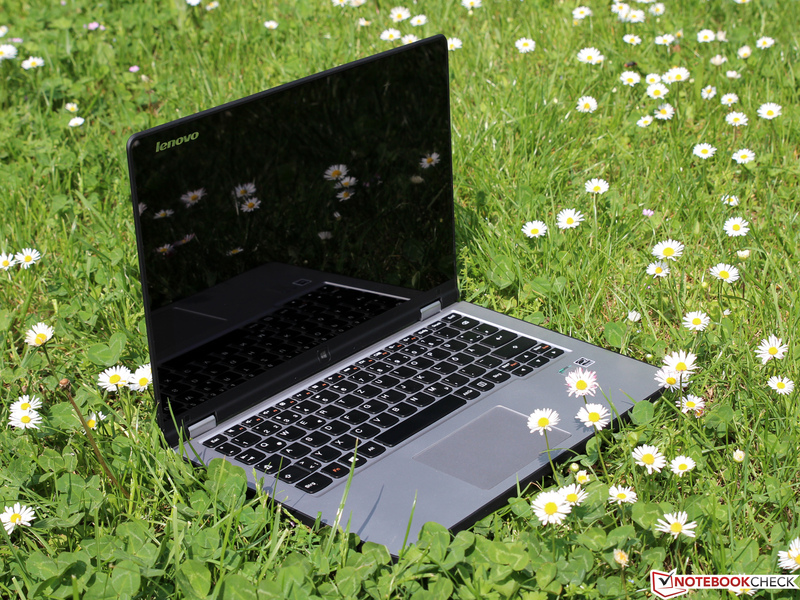 Although a glossy display will never be completely free of annoying reflections, the IdeaPad can actually be used outdoors thanks to the powerful background illumination. The display content is usually visible in most situations, at least when you avoid direct sunlight, although an even higher brightness would certainly improve the visibility. Besides some other advantages, an IPS display is particularly superior to cheaper TN models in terms of viewing angle stability. It is very important for a tablet that the colors and the contrast remain stable from every viewing position, and our review unit does not reveal any problems. Nowadays, Intel Pentium processors are not only slimmed down versions of the powerful Core architecture anymore, but also different offshoots of the low power design Bay Trail. You should, however, not be irritated by the specifications of the Pentium N3520 quad-core processor (2.2 - 2.4 GHz) inside our review unit: The per MHz performance of the Atom successor is significantly lower than the more expensive Haswell CPUs, which – with a lower clock – can be used for tablets and convertibles as well. 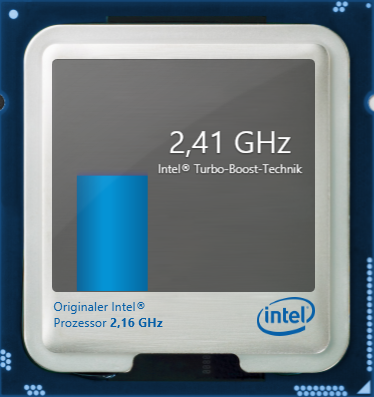 The N3520 is manufactured in the very energy-efficient 22 nm process, which enables a TDP of just 7.5 Watts. The processor has an integrated DirectX-11 capable GPU called HD Graphics (Bay Trail) that was primarily designed for multimedia tasks. 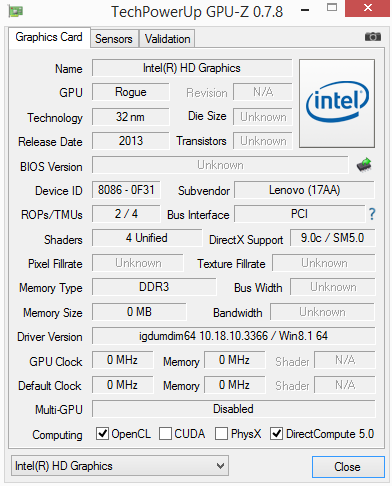 A decent 3D performance on the other hand is not really provided by the GPU, which can be seen in the following sections. 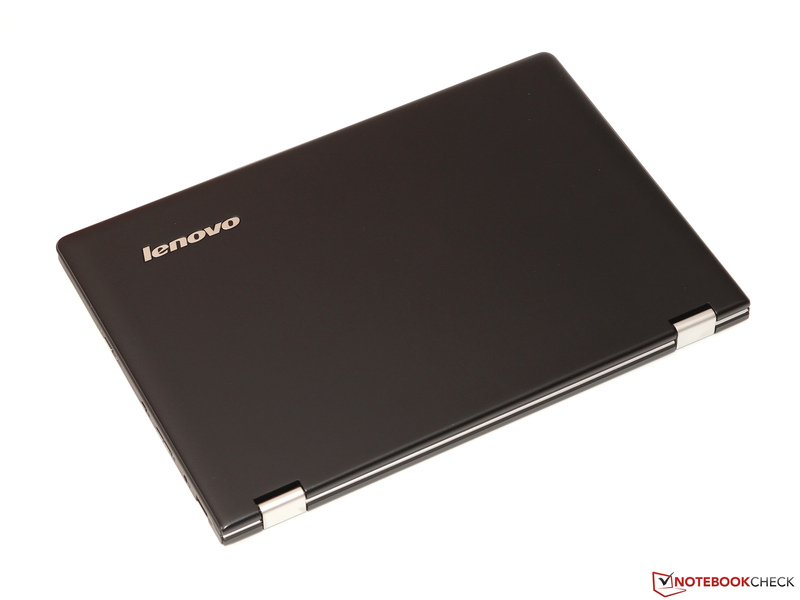 The Yoga 2 should be sufficiently equipped for daily tasks with 4 GB DDR3L-1333 memory. 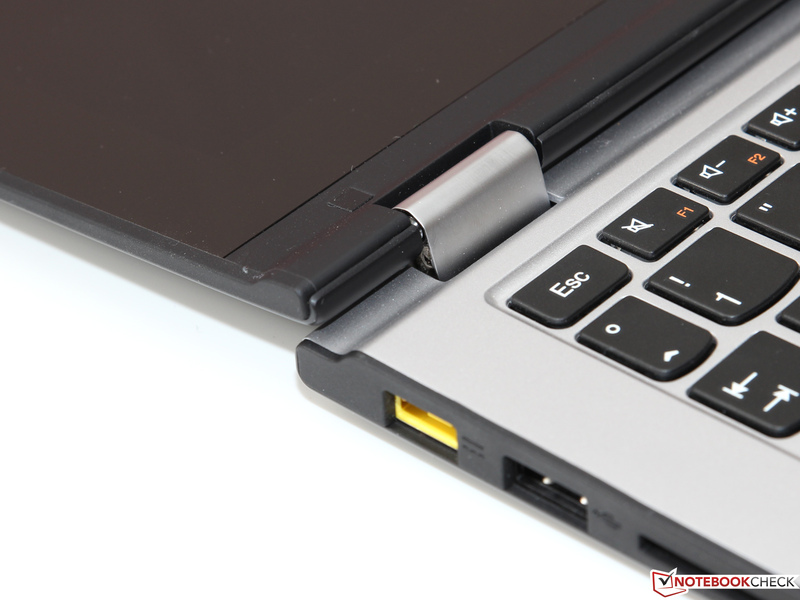 We would have liked to see a small SSD – but Lenovo decided to integrate a conventional 2.5-inch hard drive with a capacity of 500 GB. Many users still associate the Intel Atom CPUs with the terribly slow netbook processors from the past, so the change to the Pentium designation seems like a logical step. Our measurement results show that this appreciation was justified: The N3520 quad-core processor can utilize its full potential in Cinebench R11.5 Multi (64-bit) and even comes close to the Core i5 models 3339Y (13 Watts, Ivy Bridge) and 4200Y (11.5 Watts, Haswell). The situation changes when the application is not optimized for multiple threads. The CPU always runs with 2.4 GHz independent of the load, so the performance decreases when you utilize less cores – the Pentium is just half as fast compared to more powerful CPUs like the Core i5-4200Y in single thread benchmarks. We cannot determine any performance differences between AC and battery power. 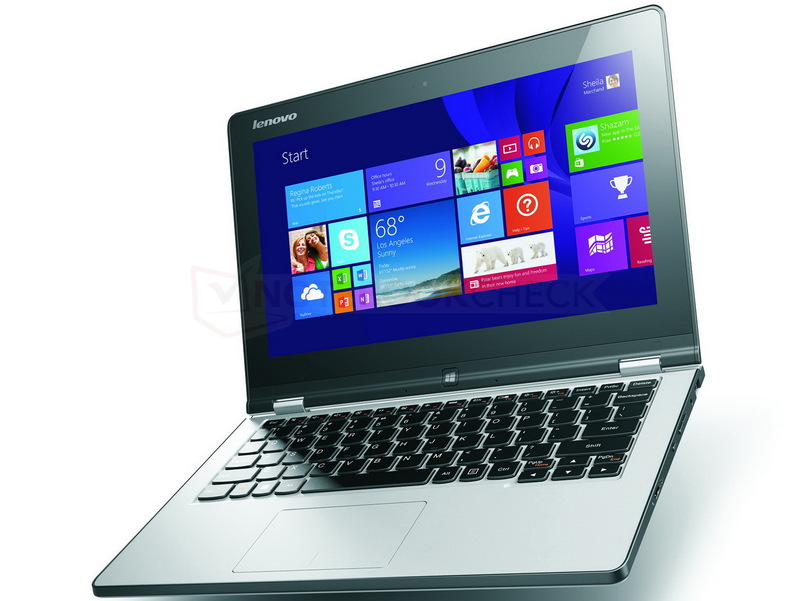 No SSD, no flash memory cache: Lenovo's Yoga 2 comes with a conventional 500 GB hard drive, more precisely a Seagate Laptop Ultrathin ST500LT032. 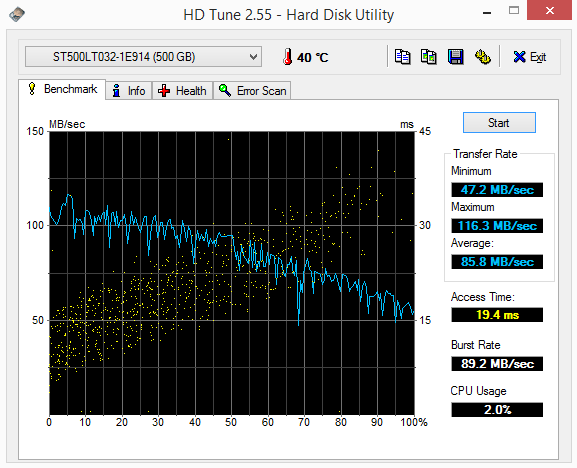 The 5,400-rpm drive does manage a decent average transfer rate of 86 MB/s, but that is still significantly slower than any SSD. The difference is even bigger in terms of access times, which are relevant for application launches and loading times in particular – 19.4 milliseconds for the Seagate HDD compared to 0.1 milliseconds for a typical SSD. But what does that mean in practice? The missing SSD as well as the lower performance per thread of the Pentium N3520 do not only affect synthetic benchmarks like PCMark 7, but it is also perceptible in practice. 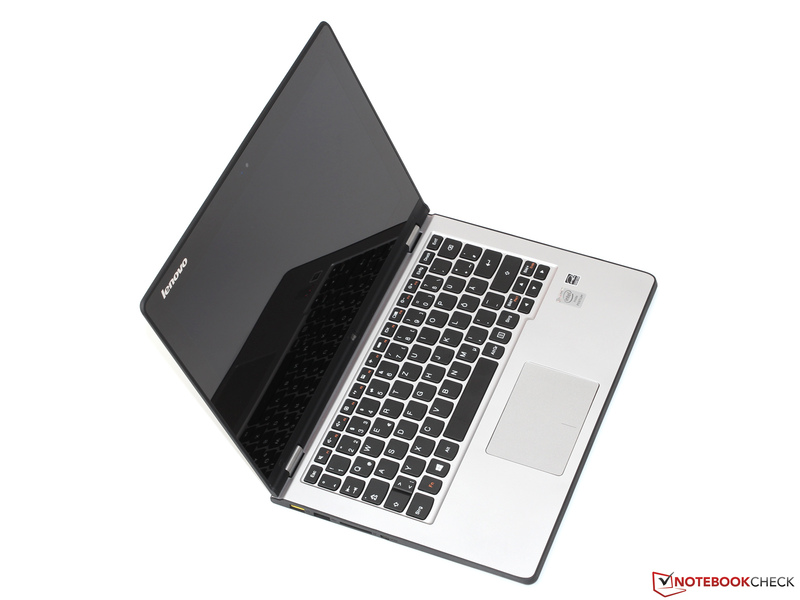 However, you should not underestimate the IdeaPad: Office applications, web browsing, video playback – the convertible handles these scenarios almost as well as larger and more expensive notebooks. We also want to mention the surprisingly high multitasking performance thanks to the four processor cores of the N3520. The HD Graphics (Bay Trail) only has four Execution Units (EUs), which is considerably less compared to the HD Graphics 4200 (20 EUs) of the Haswell based tablet chips. 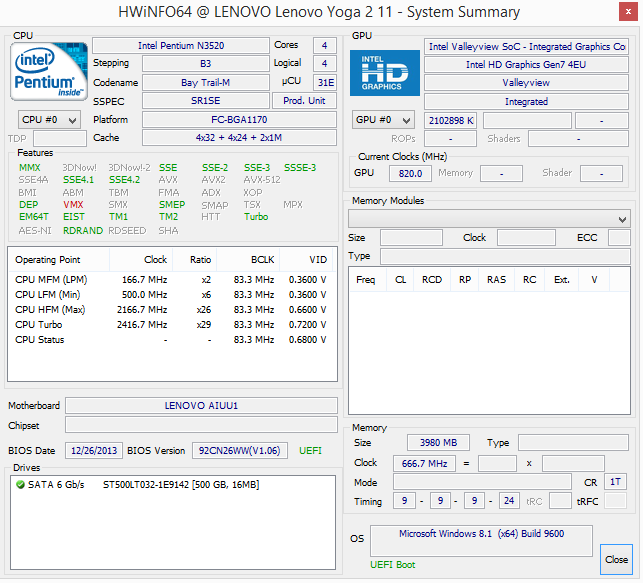 The clock of 884 MHz is not very high either, so the 3D performance is unspectacular: The Yoga 2 only manages 246 points in 3DMark 11, around a third of the Yoga 11S. AMD's A4-1200 – recently replaced by the new Mullins-series – also has an advantage of around 20 percent. Apart from the meager performance, the HD Graphics does a good job: Pinch to zoom and scrolling in Internet Explorer 11 are smooth, just as 4K video playback. You will, however, have to waive the handy Quick Sync transcoder for quick video conversion when you use the Pentium N3520 (contrary to the newer Pentium N3530). Even though we selected Anno 2070, Diablo III and Dota 2 for our gaming benchmarks, which are not very demanding titles in terms of graphics, the IdeaPad did not manage acceptable frame rates above 30 fps in any of them. You could improve the performance with an even lower resolution, but the results will not be very satisfying with current games. Classic titles like Warcraft 3 or Trackmania Nations Forever on the other hand, are no problem for the convertible. Idle or maximum load – you can never hear the fan. This is not surprising because the frugal Pentium CPU only requires a passive cooling solution. 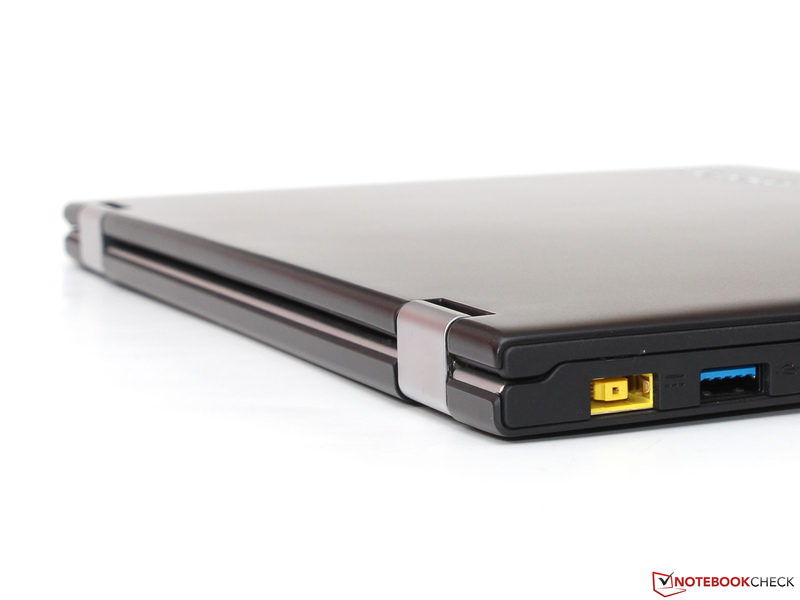 Contrary to the HP Pavilion 11, the Yoga 2 has a mechanical hard drive, so the convertible is not completely silent. The slight murmur and clattering noise are, however, not very loud and usually not audible from a distance of a few centimeters. That leaves the question about the temperature development without a fan. 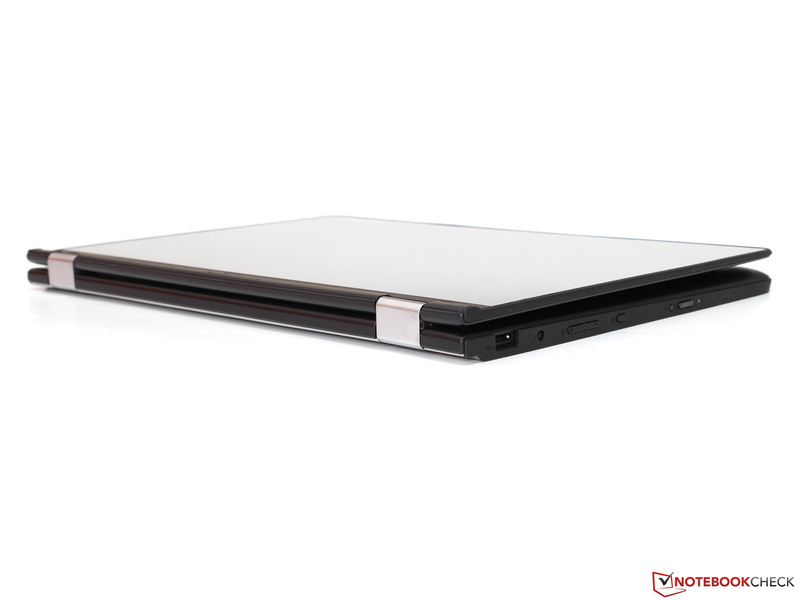 The case gets lukewarm around the hard drive and the processor with light workloads, but you can still use it in the hand or on the lap. 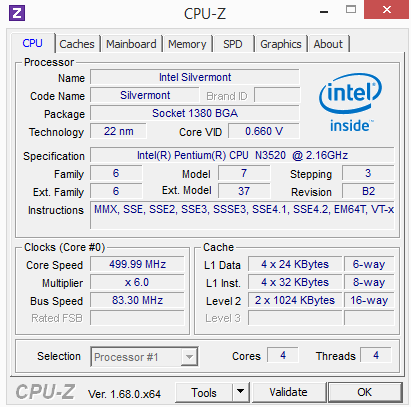 We can only determine temperatures above 40 °C (104 °F) in some spots after continuous load for the processor. 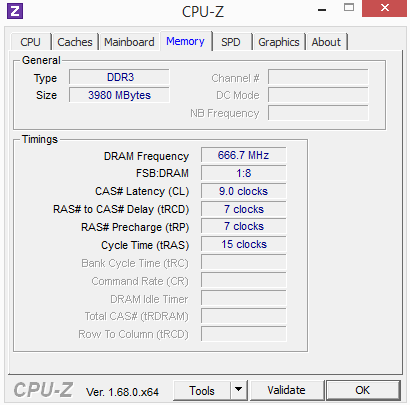 The IdeaPad runs with the full 2.4 GHz for the CPU and 820 MHz for the GPU at the start of our stress test with Prime95 and FurMark, but the clock drops to around 1.4 GHz (processor) and 400 MHz (graphics card), respectively, over the course of the test. We can also determine a slight throttling during gaming after a couple of minutes and the chip temperature reaches around 70 °C (158 °F) at the same time – the TDP of 7.5 Watts of the N3520 is not that easy to cool after all. The two stereo speakers inside the case create a pretty rich and balanced sound, but they are faced towards the bottom, which is unfavorable. As a result, the sound loses some brilliance of the high tones and also a part of the maximum volume – more than moderate volumes are not possible. An alternative would be external speakers, which can be attached via stereo jack (3.5 mm) or micro HDMI. 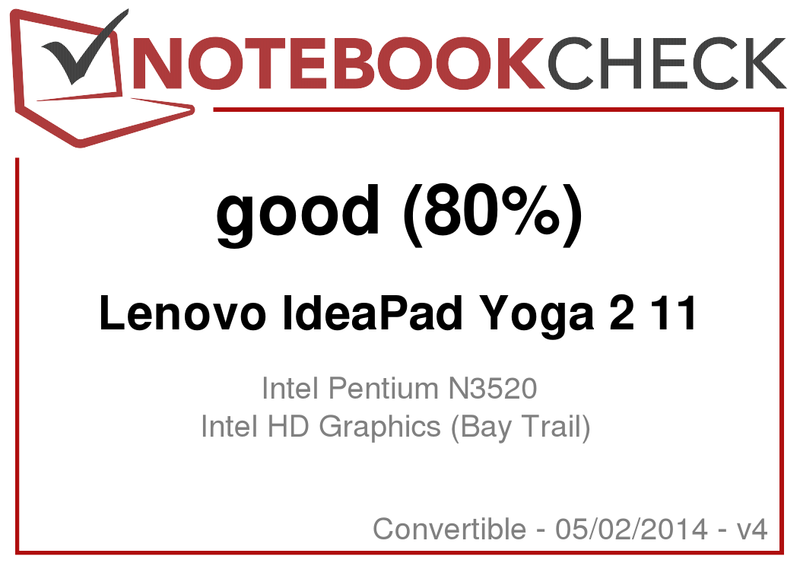 The Yoga 2 consumes 3.8 up to 7.2 Watts during idle, which is roughly on the level of other Bay Trail-M notebooks. 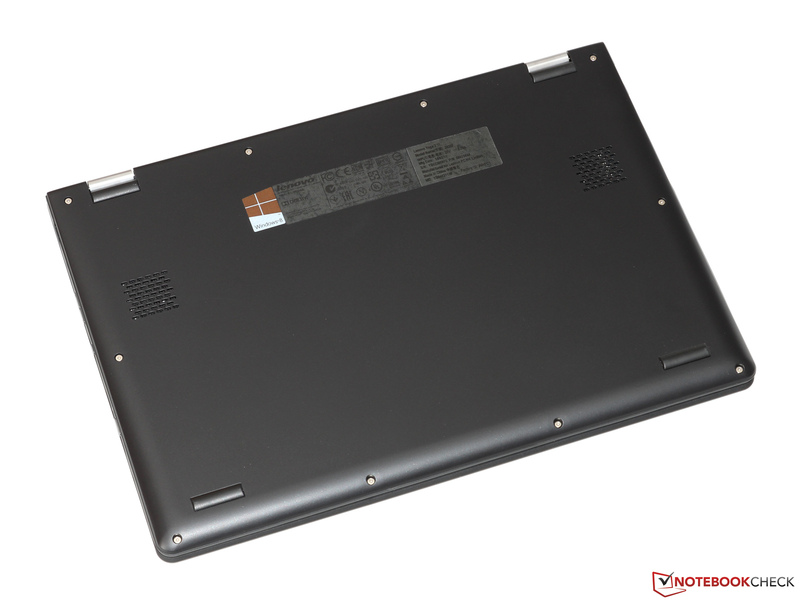 The technically related tablet platform Bay Trail-T (Atom Z3xx-series), for example inside the Asus Transformer Book T100TA (1.7 up to 3.9 Watts), is even more frugal, but has to waive some interfaces like SATA. Our measurement device shows consumption between 14.6 and 16.2 Watts under load, so the provided 45-Watt power adaptor seems to be too powerful. 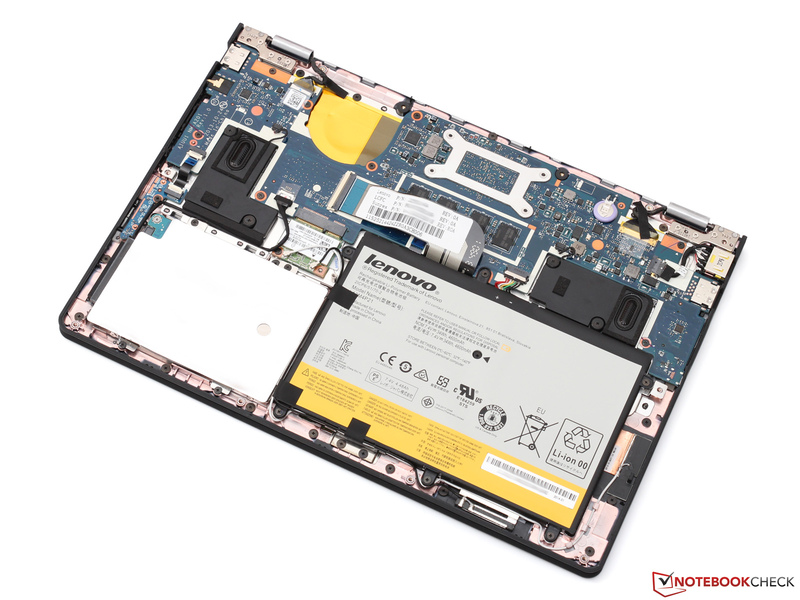 The IdeaPad should not consume more than 20 Watts, even without throttling. 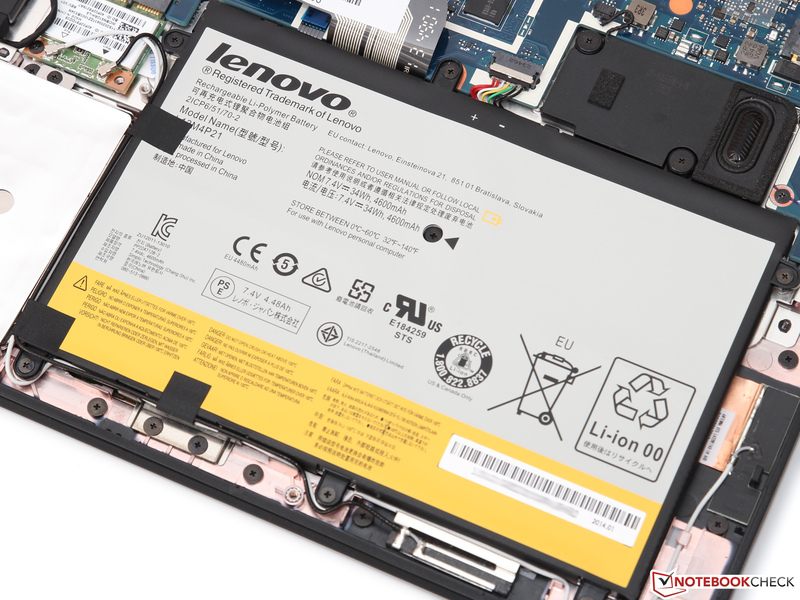 Compared to the Tegra 3 based predecessor, Lenovo did not increase the battery capacity, but actually reduced it from 42 to just 34 Wh. 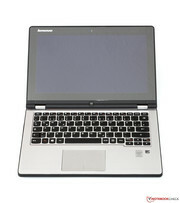 The bigger version is reserved for the Haswell version Yoga 11S from now on. The reduced battery in combination with the increased power consumption results in significantly shorter battery runtimes. Instead of more than 12 hours (Yoga 11), the user can only browse the web with activated WLAN for around 5 hours (145 cd/m², energy-saving mode) – an average result at best for an ultra mobile device. 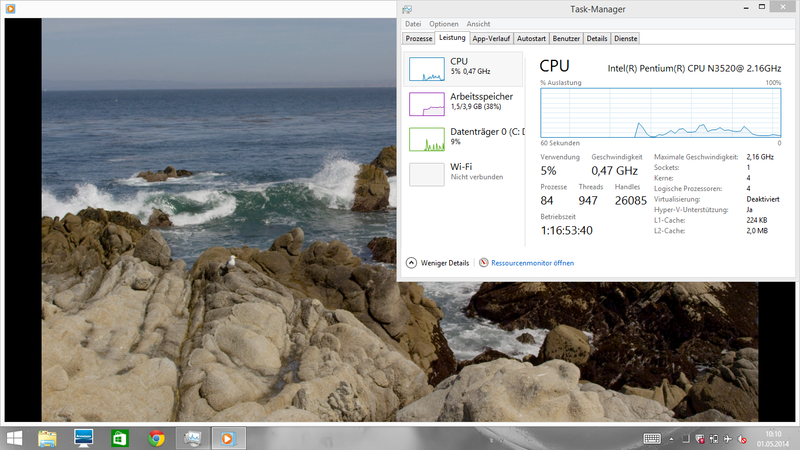 However, the battery does not seem to be the only reason: Sony's Vaio Fit 11A manages similar runtimes with just 24 Wh. 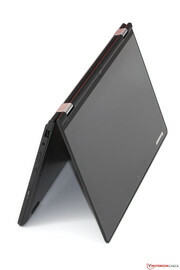 The basic idea is very appealing: The Lenovo IdeaPad Yoga 2 11 is a versatile convertible that is supposed to combine a tablet and a subnotebook in one device – for a retail price of just 600 Euros (~$825). We already know the mechanism to connect the display and the base unit with 360 degrees hinges from earlier Yoga devices. 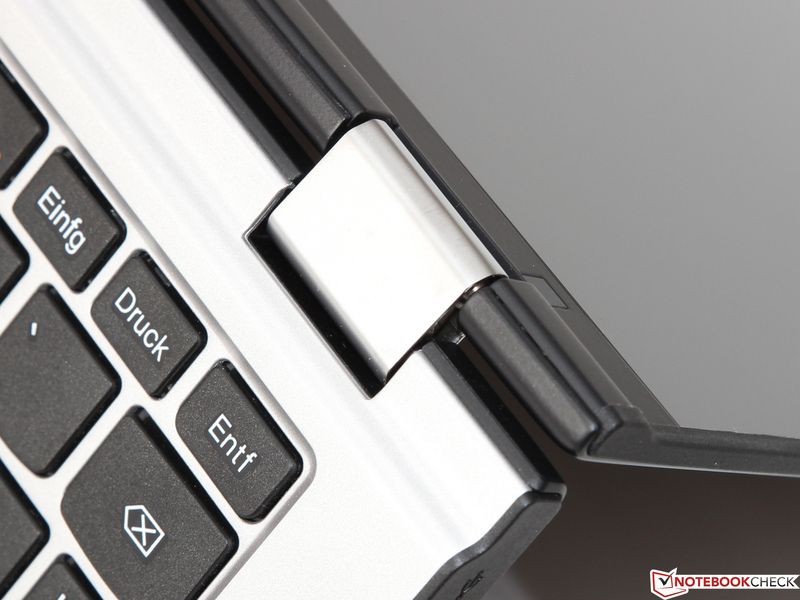 This does create some mechanical advantages: Wobbly hinges that we know from many detachables are no problem for the IdeaPad. However, the user always has to carry the full weight of 1.3 kilograms (~2.9 lbs) in return, which can become exhausting after a while. You get quite a lot for your money in terms of quality: Build quality and input devices are very convincing, and the IPS display is great except for the comparatively low resolution. 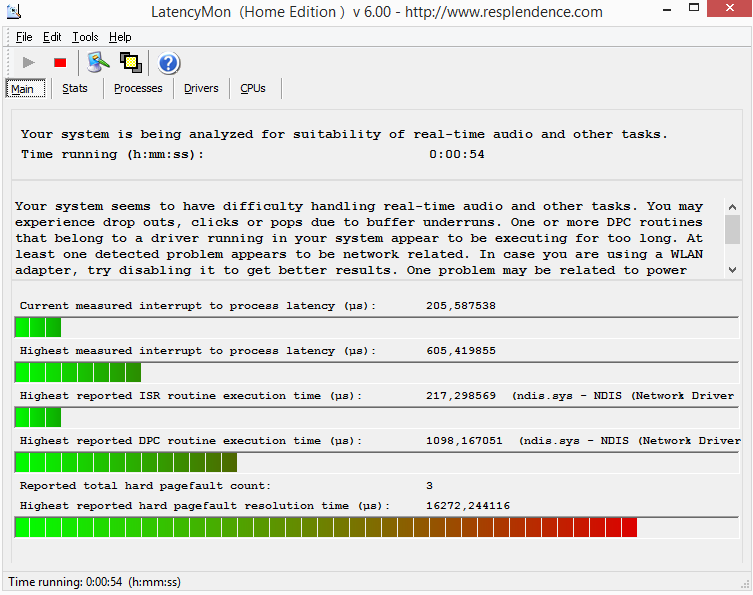 The Pentium processor is also sufficient for many tasks, only the poor 3D performance might be a problem for some users. 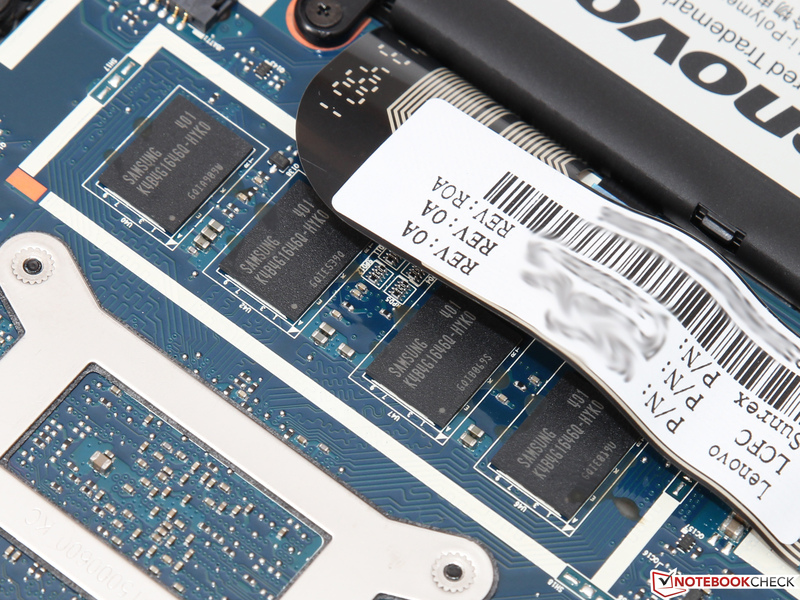 It is a matter of taste that Lenovo waived an SSD in favor of an HDD with a much bigger capacity. 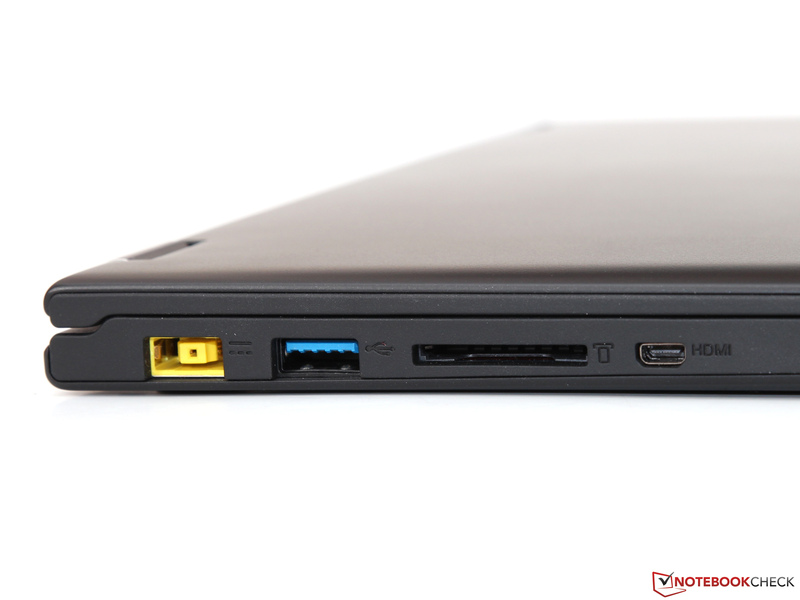 We were somewhat disappointed by the battery runtimes of the Yoga 2. 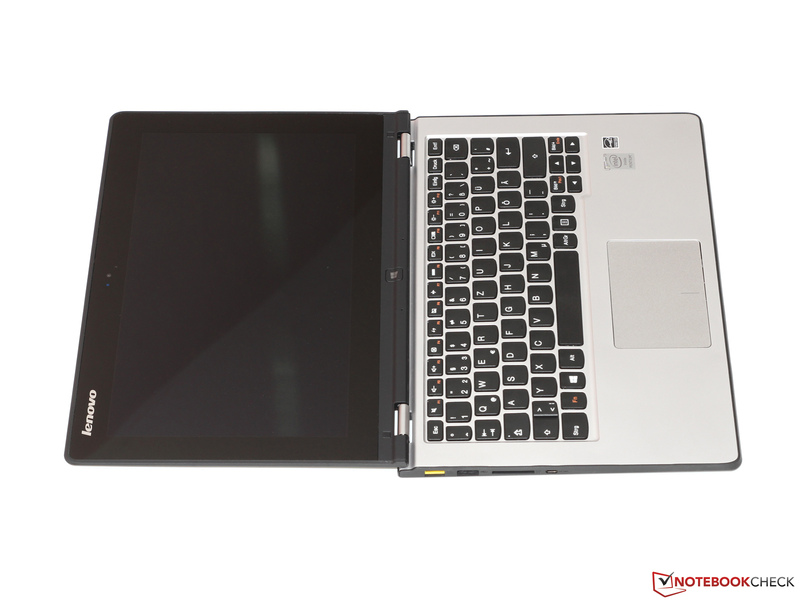 It cannot keep up with the rivals in this product class, especially the less expensive but also smaller and worse equipped Asus Transformer Book T100TA is very good in this section – there is hardly any alternative if you are looking for the best price-performance ratio. 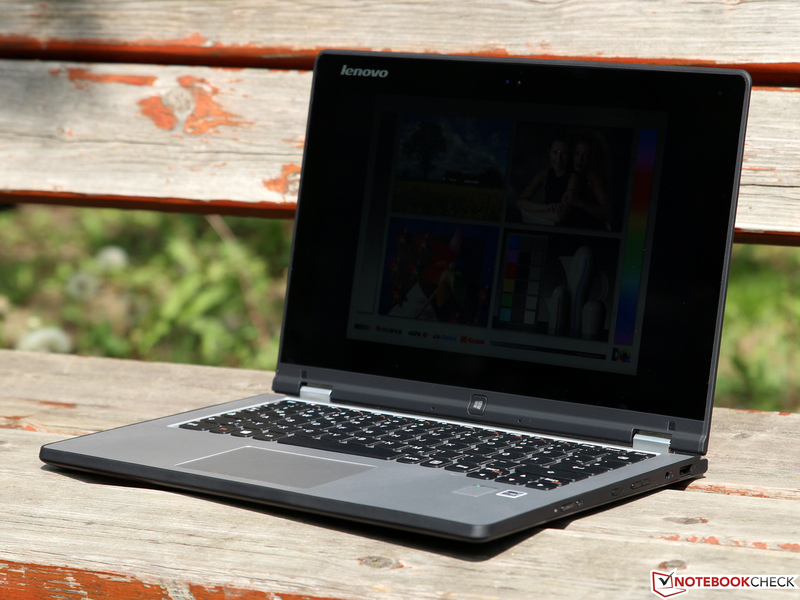 In Review: Lenovo IdeaPad Yoga 2 11. Review unit courtesy of Lenovo Germany. ...is not a standard notebook. Unfortunately, you cannot fix the end position. ...you cannot remove the display to use it without the base unit. ...as well as a micro HDMI port. Volume rocker and screen rotation lock are especially important in the tablet mode. ...the keyboard can mostly convince us. The stroke is quiet, but slightly too smooth. The mouse buttons on the other hand are very firm. Just remove them and you can access the components. ...and the processor on the other hand are soldered onto the mainboard. ...and the 45-Watt power adaptor is not really stressed, either. You get a surprisingly high-quality and versatile device with the inexpensive Yoga 2 11, which can be used for leisure and serious tasks at the same time. An SSD would improve the system performance of the IdeaPad significantly. We also think a higher display resolution would be nice. Even though the performance cannot compete with a CPU from the Core ix-series, the Pentium N3520 still offers sufficient performance for a lot of tasks – without an additional fan.